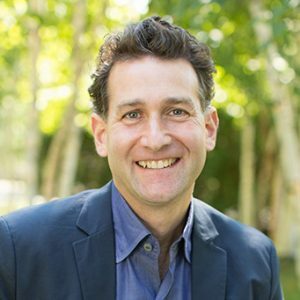 Joey Bergstein joined Seventh Generation in 2011 and, together with the Seventh Generation team, has been transforming its business, more than doubling revenue during this time, while pursuing the company’s quest to transform the world into a healthier, more sustainable and more equitable place for all. Joey stepped into the CEO role in 2017 following the sale to Unilever. The company is seeing growth accelerate further in North America and is now expanding across 5 continents to truly impact millions of people around the world. A graduate of University of Western Ontario’s Richard Ivey School of Business, Bergstein began his career at Procter & Gamble where he held marketing leadership roles over the course of ten years across North America and in Europe. Since then, his career turned to beverages where Joey served as VP Global Business Development and then VP Marketing at Molson and finally at Diageo where as Senior Vice President of Global Rum, Joey led a global team that doubled the rum business to over $1 billion, transforming Captain Morgan into the fastest growing premium spirit brand in the world. Joey, his wife Andrea, founder of Scribblitt.com, and their two super-daughters Tori and Rachel live in Charlotte, VT.